I need to replace a toggle switch-circuit breaker on my cabin switch panel. The device was made by Wood but couldn't find a part number or model number. Does anyone know how to obtain a replacement for this? If you are unable to locate original equipment new I may be able to help. I have just replaced my original panel with PanelTronics unit and I may have several originals left over. It may take a day of two to sift through the "spare-parts" boxes to locate. Downwind Marine in San Diego, Cal. stocks the older style breakers which fit the panel in my SW 2. Their phone number is 619-224-2733. I also replaced my original panel with a PanelTronics. I'll see what I can locate also in my spare part bin. 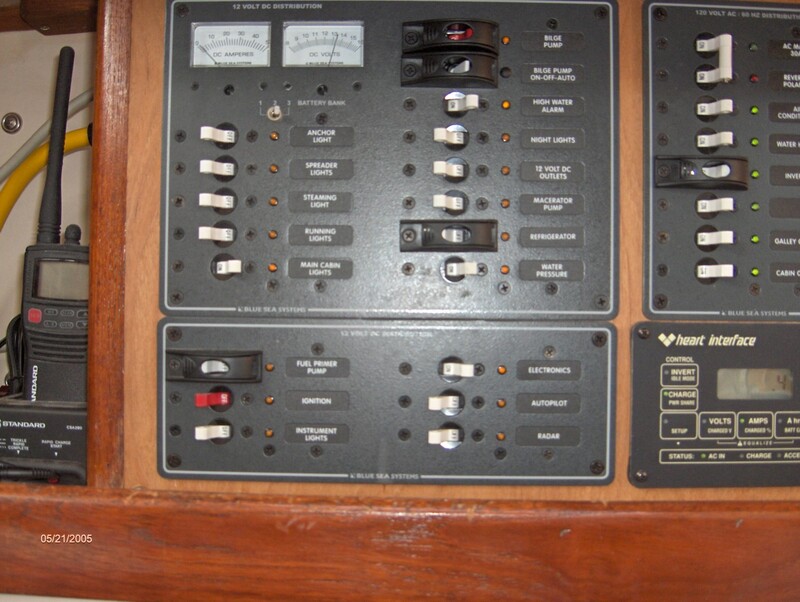 Found the complete Wright Yacht Co. Inc. circuit panel with all toggle switches intact. Most all are Wood switches. There are numerous markings on them that may be of help to you?? You are more than welcome to any or all if needed. You might try taking the switch to NAPA and see if a replacement could be located. Although they may not have in stock, they have resources and catalogs. This has worked for me in the past and generally far less cost than a marine supply store. Thank you very much for your kind offer, but I just ordered one from DownWind Marine. The current price is $37, so you are better off than you knew. I bet that there are other folks out there who need to replace a circuit breaker. Don had a good point with regard to circuit breaker function. It would probably be best to go with new ones for safety’s sake. I have known a couple of the AC breakers to trip when I initially started my air conditioner on one occasion, but I’m not sure whether all of them would. I have never had any of my DC breakers trip and I couldn’t guarantee that they would. I suppose you could test them by putting them between a hot and a ground. One thing you should realize is that breakers lose a bit of their function with each tripping event. Another thing you should consider is the amperage rating. I’ll take a look and see if they are marked on the back. You need to make sure that the amp rating matches the circuit load. With the newer panels such as Blue Seas, the breakers double as switches and can be used to turn most systems on and off. At my local marine store these switch/breakers run from 10-12.00 apiece in amps ranging from 5-30 (they are clearly marked) I prefer them over fuses because I believe the contacts tend to be more protected than those of fuse holders. I noticed that one other person was interested in the panels as well. As far as I’m concerned the interested parties can have them, just reimburse me for the shipping. They could share out the switches. The DC panel has one breaker that one won’t turn on, and one that is a little cantankerous. The others turn on and off fine. All of the AC breakers switch on and off without a problem. I also have a relatively Newmar 8 breaker panel that I will no longer be using and will sell it at a fair price. Sounds like the IP did you a favor that day!! Yes I like the fuse because its almost the perfect circuit breaker. If the yacht that we have the video of had one, likely it would still be around. I don’t like the so called inexpensive circuit breaker because those are affected by temperature and can’t be checked for proper operation. They are supposed to be rated to trip within 108% of stamped value, but I’ve seen a 50 amp breaker take over 200 amps on a test bench, we were investigating a fire aboard an airplane, that breaker was then carefully taken apart only to find nothing that indicated it would fail. Gives one the warm comfortable feeling on a dark icy night aloft. The ICCB is much better, temperature compensated, but who other than Boeing can afford such a luxury. Almost forgot, they are in the Piper Cheyenne 400 that I flight tested back in the 80’s. Good grief that’s 22 years ago. I agree with you that a properly rated and installed fuse is the most fail-safe protection in the event of a short circuit but I want to know what defines a cheap circuit breaker. Is any circuit breaker short of aircraft quality considered cheap, including those produced by such companies as Blue Seas, Newmar, and Paneltronics? With regard to temperature compensation, it would seem that the colder temperatures experienced in aircraft at higher altitudes would affect a non-compensated circuit breaker, causing it to sustain higher amperages than its normal rating before tripping. 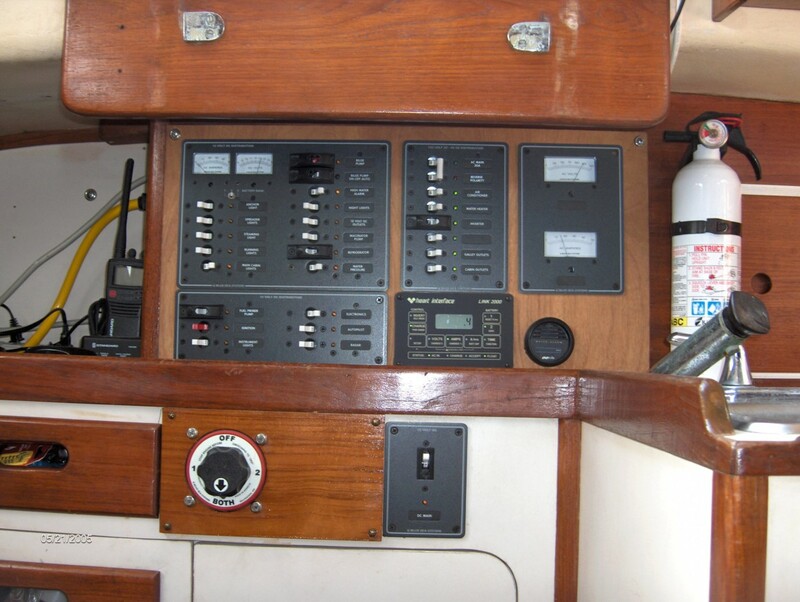 I believe that it is important to replace breakers periodically as a preventive maintenance issue over time to insure their reliability just as you would replace structural items in your boat’s rigging. I concluded with the statement that I am open-minded and here to learn, but I hate to thing that I spent good money on new panels that could cost me my boat or peoples lives. I was just checking myself at the Blue Seas website and found that the majority of their breakers are tripped magnetically by excessive amperage (current flow). They do offer thermal breakers at the 25 amp and above rates as well. 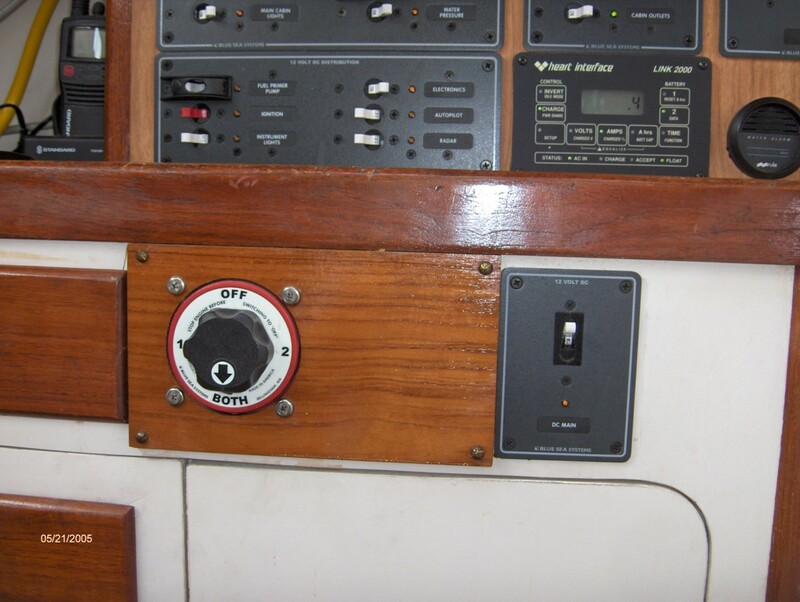 At times these breakers may trip prematurely due to being in some hot climates encountered in boating. The technical page gives excellent information on creating safe circuits in that it gives all of the tech info and parameters for insuring that you use the proper conductor size and CB rating for a given current load. It gives a list of wire gauges and the maximum amperage that they can withstand before the insulation is melted. You need to make sure that the CB rating is above the maximum rated for the device’s load but below the maximum current allowed for the conductor. A good rule of thumb is to use the next heavier gauge than you need in order to ensure that the breaker trips way before the wires heat up enough to damage the insulation and/or start a fire. The site also makes it clear that you need to take into account voltage drop over distance. A gauge of wire that is appropriate at 3 ft. for a given circuit amperage would be inappropriate at 20 ft. There is a safety factor here since amperage goes up as voltage drops. Amperage is what generates the heat in an inadequate conductor. I would recommend the uninitiated to check out these tech pages before they do any changes or upgrades to their electrical systems. Please don’t think that I’m against circuit breakers, because I’m not. I’m just not in favor of cb’s that don’t trip when they are supposed to and a smoke/fire erupts as a result. I would give a lot to know why some trip as advertised and others don’t at all. 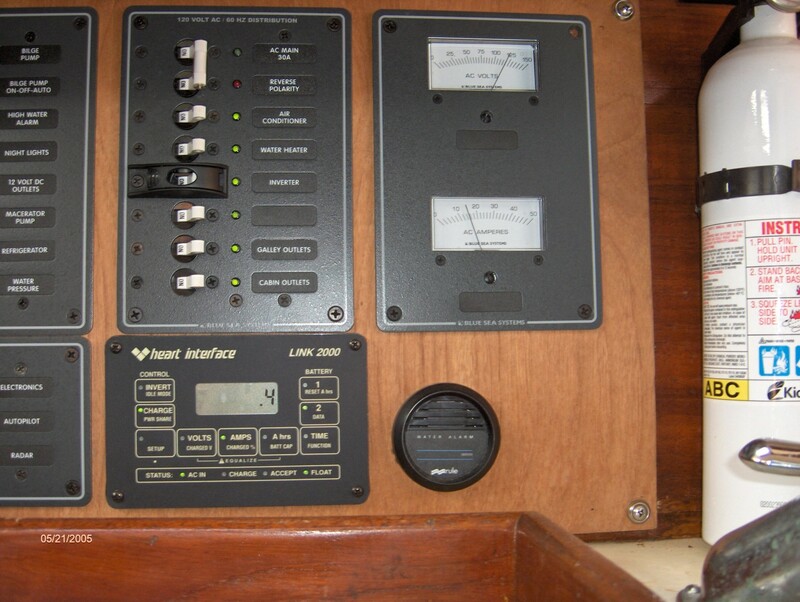 As to the temperature thing, if an aircraft/boat sits outside cold soaking, then the operator fires up and motors on out with a dead short, the 10 amp breaker may not trip even if it has 40 amps applied to it because of the cold temperature its experienced. The reverse is true if the sun is directly on the cb panel, the cb can trip without any current being applied due to the high temperature..That is why temp compensated beakers are better, but oh the price is only for kings. I was looking at the Blue Seas website, and the majority of their circuit breakers are tripped by the magnetic field generated by current exceeding their amperage rating. I was glad to find this out since my new panels are Blue Seas and all of my new breakers are designed to be magnetically tripped. They do offer some high amperage breakers that are designed to be tripped thermally as well. While in the process of upgrading my electrical system I found that I would like to put some advisory labels for the uninitiated guests and family that I might have on board. Things suchs "Do Not Switch With Engine Running" etc... "Red breakers should be on at all times". Can a person get custom plaques or lettering that looks neat and professional? I would prefer this to tape labels. An easy way to do it would be to use your computer to generate the labels and then enclose them in self adhesive plastic sheets. You could even frame them if you want to add the extra touch. That reminds me of self-adhesive (non-thermal) laminating sheets that we use for maps and other documents when we venture into the ship channel at work. I’ll give it a try. We use the plastic lettering type that can be made up custom by any local print shop. We have used these in a number of applications and they last even in the hot Florida sun.